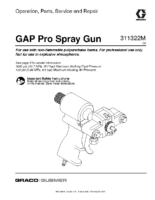 The GAP Pro Spray Foam Gun is designed for construction, bedlining, roofing and other plural-component spraying. Hardened steel side seals and mix chamber for long-lasting performance. No adjustments necessary. Easy access screens reduce end-of-the-day maintenance time. This gun is really not used much today and is kind of a dinosaur to the Spray Foam industry. 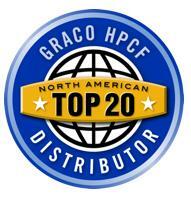 With all spray foam guns we recommend to have at least two onsite. This will assure the applicator always has a back up while the helper rebuilds a gun that may be clogged or crossed over. Keeping the Graco Spray Foam Gun cleaned, greased, and well maintained with a good set of O-rings will prevent down time and should be taken very seriously. Various output and patterns can be achieved by swapping the mixing chambers as needed. 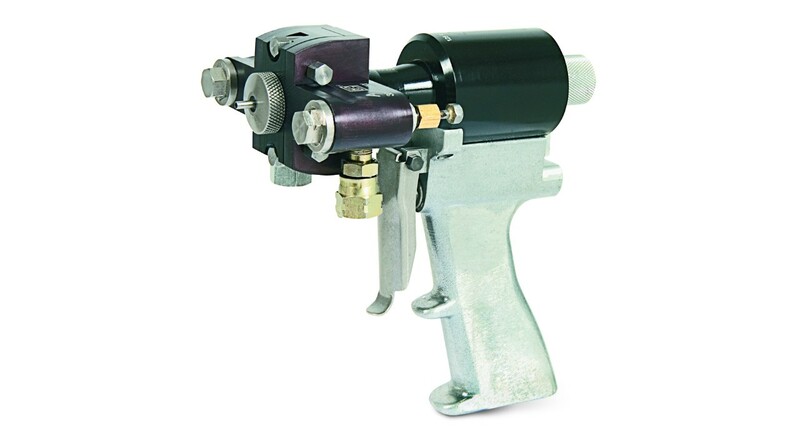 We recommend only using OEM replacement parts with the Graco Spray Foam Guns, as off brand parts may cost less will cause many problems that lead to down time. 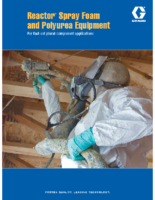 There are a variety of other guns that are available for various types of spray foam and polyurea applications. Graco P2, Graco Fusion MP, Graco Fusion CS, Graco Gx-7.